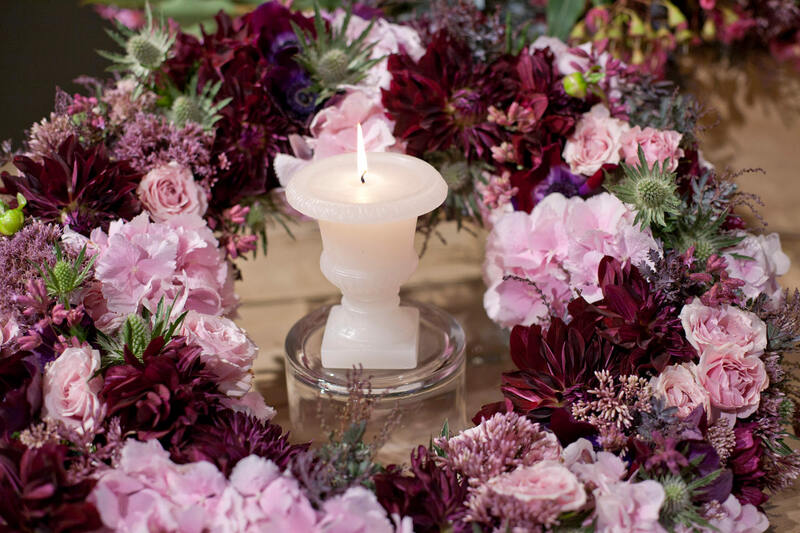 Foundation courses include the Introductory, Intermediate, Advanced Design Series, Advanced Wedding Series and Event Design Series. 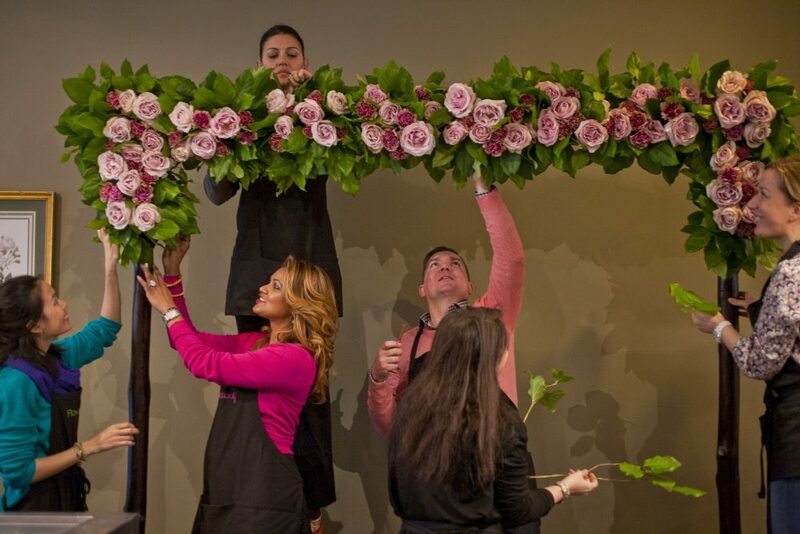 Each series focuses on the principals of floral design and teach the FlowerSchool Method of Design. 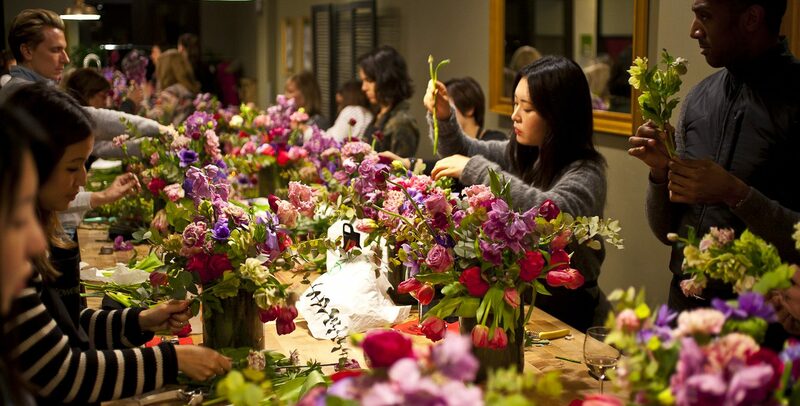 In these courses students learn the best practices of the industry including technique, skill, design principals, preparation and care of flowers and purchasing flowers. This series of classes is intended for beginning-level students who have an interest in learning foundation level skills in floral design. 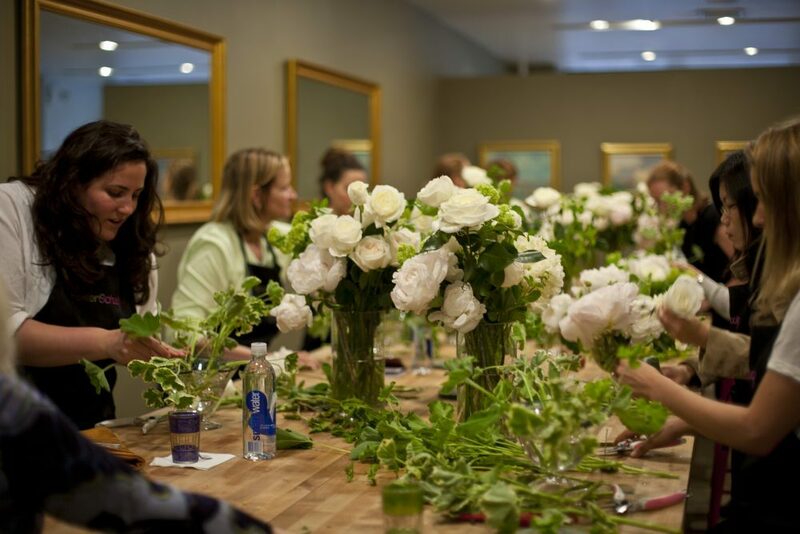 Skills include how to correctly handle and care for flowers, how to use a floral knife and clippers, and when, and the conditioning of flowers for optimal vase-life longevity. This series teaches simple, high-end designs that highlight the flowers’ most beautiful and unique characteristics. 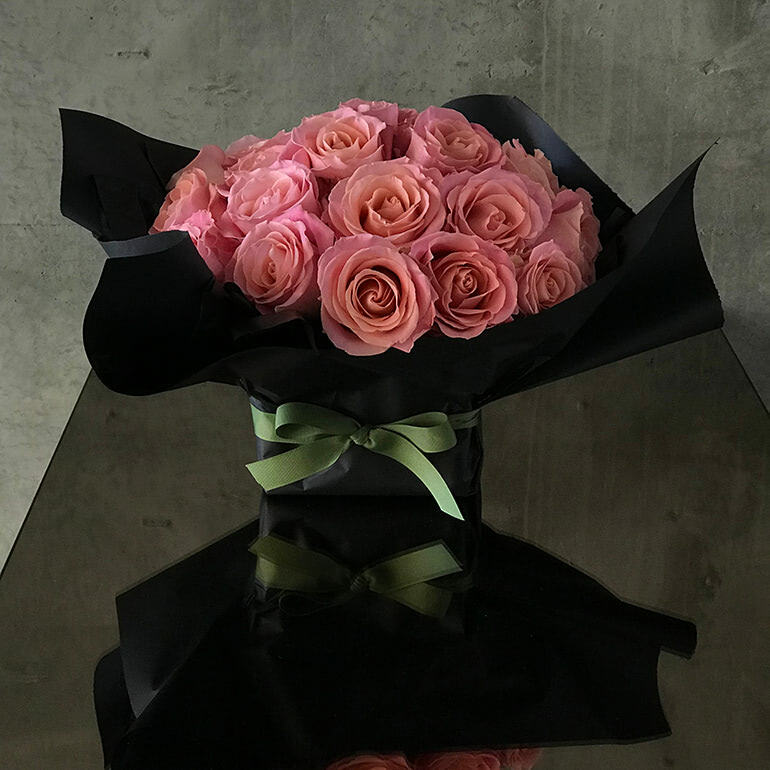 Once learned, these designs can be recreated at home again and again using a variety of different flowers and materials. 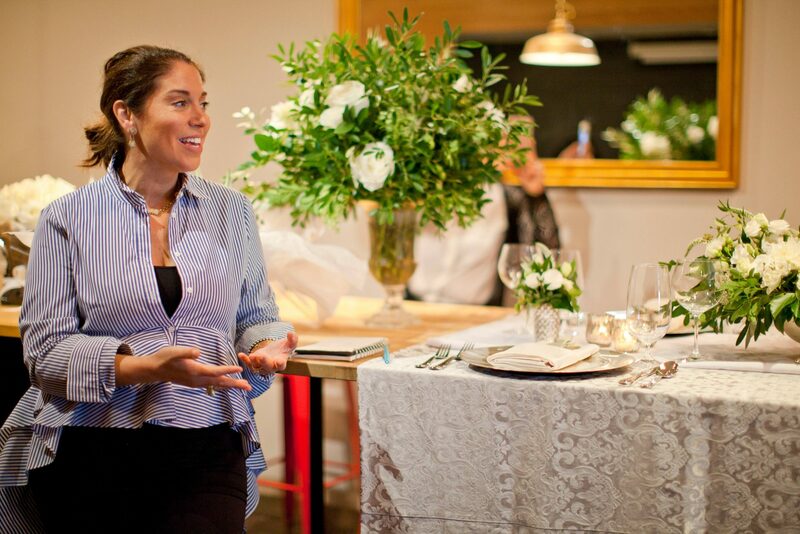 Our Advanced Wedding Series focuses on advanced skills for the wedding market. 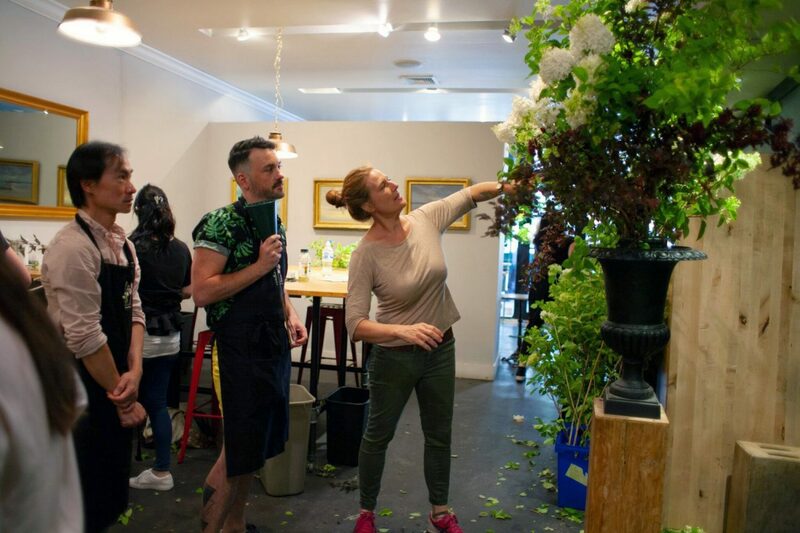 It presupposes knowledge of certain techniques such as proper flower processing, basic arranging and familiarity with the florist’s knife, as gained through FSNY’s Intensive Series. The Wedding Series includes step-by-step instruction of five wedding-specific design skills including: handwiring individual flowers for boutonnieres and head wreaths, a cascading bridal bouquet using handwiring techniques; large scale designs for ceremony decor; elevated centerpiece designs for the reception and the decoration of a Chuppah and flowering arch. Our students walk away form The Advanced Wedding Series with a great understanding of the most important wedding mechanics and designs!